Purchase orders (POs) are the necessary evil of the business world. Without them, you won’t be able to record your outgoings, keep a close eye on your overall expenses or, well, purchase anything. And, without a plain paper trail, you could ultimately be letting certain HR processes, as well as money, fall through the cracks. As such, your organisation needs evidence of everything going in and out of your business. It’s not enough to just rely on invoices from suppliers to track your finances. Feeling a bit confused? Not to worry. We’ve got you covered. Follow through our comprehensive know-it-all guide to purchase orders to avoid any confusion and learn how to better your essential business processes. Chapter 1: What is a purchase order? Chapter 2: Why are purchase orders important and what are they used for? Let’s start with the basics – what exactly is a purchase order and why is it necessary for your business? But, remember, the more detail you put in your purchase orders the better. Upon acceptance by the seller, purchase orders become legally binding agreements, so detail is vital. Don’t get caught fumbling in the dark; be clear and concise in your dealings. TIP: For oversee purchases, it’s important to note that you’ll need to check exchange rates prior to filing your purchase order so you can understand the true cost of the expense. What’s more, if your business pays with a bank or service, such as PayPal, you may have to account for added charges for inflated exchange rates. It’s always worth checking before you make your purchases, should you need to pay more than anticipated. So, wait, is that not an invoice? In short, no. It is the seller of goods and that creates an invoice. This document is a request or confirmation of payment in relation to the initial purchase. It is more concerned with the closing stages of the transaction. Invoices will contain details of payment, such as whether it is to be by cash or direct debit and the due date. They will also usually contain the purchase order number so that both documents correspond. However, the details of the purchase order mentioned above are not included on the invoice. Chapter 2: Why are purchase orders important? Nobody likes paperwork, but there are some jobs you just can’t avoid. No matter the size of your business, you’ll always need to keep an easily-followed paper trail. After all, when your business is small, budgets are tight. As a result, you need to make sure you know exactly where every penny is going. As your business grows and your demands become greater, purchase orders become vital to maintain order in a potentially chaotic system of multiple suppliers. When you are receiving larger orders, things can become complicated. You need to know that you’re receiving the right product in the right way at the right time. This is why purchase orders are useful: they smooth over any possible misunderstandings or miscommunications about your transaction. Purchase orders not only provide the details of the agreement but also legal protection. So, if your supplier doesn’t carry out the purchase agreement for whatever reason, you have the document as evidence of a breach of contract. A purchase order also sets a clear expectation of when, where and how delivery or execution of the purchase should happen. It’s always best to ensure your purchase orders are thoroughly checked over before being processed. As well as offering legal protection, purchase orders help with inventory, management and payment tracking. For auditors, they offer an accountable trail of a purchase. Auditors can use a PO to see exactly when it was raised and what it was for. As a company, you should be transparent in the way you issue, process and record purchase orders. Any auditors on the lookout for financial discrepancies will struggle if it's well documented. The auditing benefits of a PO extend to the vendor, too. They’re able to reference them in their own accounts when recording orders are fulfilled and payments received. For your finance, procurement, and operations teams, POs are a useful way of tracking business expenditure. Crucially, these departments can use the documents to keep a close eye on how much is spent and what the money is being spent on. This is highly beneficial when it comes to budgeting, as it makes it easy to see the amount that’s been committed for a particular purchase. Because the expenditure has been documented, it can be allocated against outgoings. As a result, there are fewer surprises when invoices start to land on the accounts desk. What’s more, POs allow you to monitor your employees spending, too. This can add a layer of needed accountability. Furthermore, when staff know their expenditure is tracked, they'll likely be careful about how much they spend. As we’ve already discussed, the difference between POs and invoices is that a purchase order is issued by the buyer to place an order for goods or services, whereas an invoice is raised by the supplier to request payment of those goods or services. But, both are needed together to create a better paper trail. In theory, both the purchase order and the invoice should include much of the same information, such as details of the items being purchased and their agreed price. This helps the vendor to raise an accurate invoice against the purchase and helps the buyer to easily match the invoice against the purchase order they issued. The only difference is that an invoice would also include terms and/or a schedule as to when payment is due. Finance teams and business owners can keep track of spending using purchase orders. They're a simple way to help departments function efficiently. A fast and efficient purchase order system plays a significant part in helping businesses of all sizes control expenditure and allow for accurate budgeting. In short, purchase orders mean you can focus your time and energy on developing and growing your business, not shuffling through bits of paper. Chapter 3: How does the Purchase Order process work? So, we’ve discussed what purchase orders are and why they’re important, but how does the process work? And how should your business be filing them? Let’s take you through the basics. The buyer prepares a purchase order. If your organisation is big enough, this will usually happen within the purchasing department. However, for smaller businesses, that is quite the luxury and may not be the case. If so, handling the submission of purchase orders may fall upon those within the HR department, or within admin roles. The purchase order is usually a paper document that’s sent off to be processed, as we’ve discussed previously in this guide. However, online applications (such as Turbine) simplify this process for both small and big businesses alike. Approval is essential for purchase orders. After all, when it comes to spending someone else’s money, it’s crucial to make sure you haven’t made a mistake. But the approval process should be no more than a single step. At enterprise-level, purchase orders can oftentimes go through multiple stages of approval before a purchase is made. 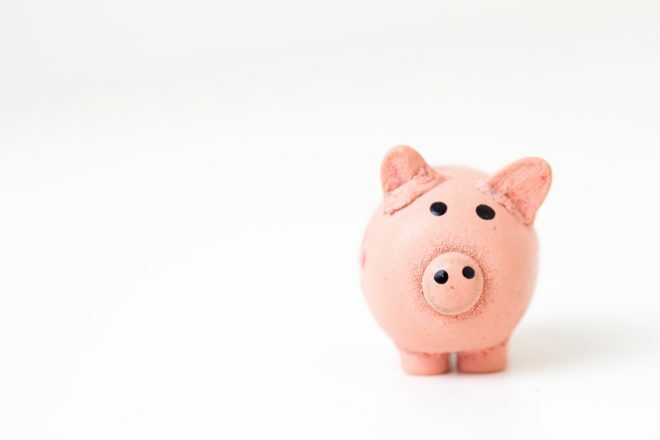 Your boss, the finance department, business decision makers… Whoever you can think of probably wants to look at what you’re spending money on and have a say about it. A simple online tool, then, streamlines this process. Once an order is submitted, the purchase is created and generally deemed as ‘in-progress’. The order then remains in-progress until the buyer has received the ordered items or services. The corresponding PO is then marked as ‘requiring payment’ once the order has been received. It is at this point that the buyer then completes their responsibility for the purchase and pays. To ensure the payment is accurate, the buyer prepares an invoice and quotes the same purchase order number to ensure both transactions match up. Because of the flimsiness and unpredictability of paperwork, it’s difficult to follow a purchase order’s timeline. Different information is often sent to different people, and it over-complicates what should be a simple task. Transparency, then, is the answer. Everyone involved in the purchase order process must be on the same page (pun intended). To improve this team collaboration and, consequently, the efficiency of the process, digital portals are the way forward. In a general sense, purchase orders are relatively easy to understand and create. That said, there are still differences between the types of purchase orders your organisation may need to create. Although the variations aren’t substantial, considering the differences between them could save your business time, money and legal headaches. Plus, noting the differences will ultimately help your employees or purchasing departments to request their expenses in the correct method in future. So, with that in mind, here are the four types of purchase orders you need to know about. You’ll encounter standard purchase orders more often than any other purchase order. Luckily for you, they’re the easiest to understand. Standard purchase orders are used when a business is making a one-off request for goods or services. The specifics of the request are known, including the price, quantity and delivery date for the order. They ensure that both parties are bound to pay – and charge – what they said they would at the outset. Better yet, standard purchase orders create an easy-to-follow paper trail for company expenses. This makes keeping track of purchases easier for HR managers and finance departments, providing a framework for employees to work within. Some applications can even streamline this process and reduce the need for masses of paperwork. Standard purchase orders are made as and when the need arises. When your office is running low on staples (or paper, printer ink, etc. ), you’ll need to raise a standard purchase order to receive more. Unless you’ve meticulously tracked staple usage and estimated your usage, it’s best to use a standard PO rather than one of the anticipated or recurring types. Planned purchase orders are made when everything is known except the delivery date. They are made in anticipation of the goods or services. This kind of PO is for the office that does track their staple or office supply usage. If you can roughly predict when you’ll need them in future, planned POs are the best way to set up a provisional agreement with a supplier. You are agreeing to buy from that specific supplier with a loosely-defined schedule for delivery. Blanket purchase orders ultimately mean less knowledge, but more flexibility. Blanket purchase orders are made when you know what good or service is needed, but the timings and amounts are uncertain. They anticipate the need of goods and services over a set period. Terms and conditions are agreed upon, as well as spending limits. These types of purchase orders often mean that it’s possible to get a better price from a supplier, as it guarantees that you’ll purchase from them over a set period. You’ve got an inkling that staples will be needed throughout the year. You know how many your company is likely to need during this period, but you’re uncertain when. It’s cost-effective, then, to agree with a supplier that for the next year, you’ll buy your staples from them, possibly setting out rough amounts and establishing the price. Possibly the most confusing of the purchase order types; contract purchase orders are more like purchase agreements. Contract purchase orders are formal agreements made between the buyer and seller. They set concrete terms and conditions for all future transactions between the two parties and are legally binding, but do not establish anything else. Contract purchase orders act as a framework within which standard purchase orders can be made. Contract purchase orders do not have set expiry dates, so can be used to streamline and legally safeguard the purchasing process throughout the business relationship between buyer and seller. You have a supplier you’d like to work with in future, but you’re unsure what, when, or how much of a product you’ll need. Creating a contract PO means that every standard order you place in the future will be backed up with legally binding terms and conditions. Should either party attempt to do something that contradicts the terms, it’s possible to get lawyers involved and to refer to the contract purchase order. It’s an added layer of insurance that means you won’t get shorted when buying your staples! Chapter 5: How do I create a paper purchase order? By now, you will have a decent understanding of what a purchase order is, what it contains, and why it’s necessary for your business. ‘But how do I create one?’ You ask. Well, creating a purchase order is easier than you might think. The header– This includes vital details such as your contact information and business name. It also contains the purchase order number, date and payment terms, such as how soon you expect to pay. The body– Description of the goods/services you have purchased, including the quantity of each item. The footer– This is where to put in the grand total of all items purchased. The amount listed should have the pre- and post-tax totals. You should also include a delivery date, so the supplier knows when you expect delivery. Suffice to say, it’s easy to draft up a template of a purchase order in a word processor if you can’t find a suitable template online. But, think of the paper, the photocopying, the lost files and office mayhem… Is a paper purchase order process really the way to go? At the end of the day, your purchasing department operations can make or break your business. Having knowledge, control and accountability over movements of stock and funds is vital to success. This way you won’t spend more than your business can afford. That being said, a manual purchasing system can create a huge amount of paperwork and can take an excessive amount of time to create. Ultimately, it involves a lot of administrative work with no tangible business benefit. The longer it takes for a file to pass through different layers of bureaucracy, the longer it’ll take for the purchase to be made. This can slow down essential business processes and timelines, but also put your purchase orders at risk of becoming lost or destroyed. And if you can’t find the right document? Your purchase orders won’t be able to be processed and you’ll have to spend an average of $120 (£91) to find it (or $220 (£167) to replace it). That, of course, is on top of the extortionate amount of money your business will already be paying for your wealth of other paper processes. It’s simple. Scrap the paper; it’s time to step into the digital era. The purchase order process is a repetitive one; your employees will always be expensing equipment, travel and services. Your HR department will always have to filter through stacks of requests to approve and process the payments. It’s a necessary process, but it needn’t be so unnecessarily hard. Think of the hassle involved with this manual process. The time, the money, the risk of error, the bureaucracy, not to mention the environmental strain… Is it really worth the effort? We don’t think so. Automating burdensome, time-consuming manual tasks can increase your employee productivity, cut costs and reduce strains on your HR department, too. And the right tools aren’t hard to find. Applications, such as Turbine, take away the frustration of the PO process. With this software in particular, creating and submitting purchase orders is much simpler and less time consuming. The purchase order form contains fields for all the critical information you and your employees need, which you can fill out and send on any device. The software then generates a purchase order number for you to use. Ultimately, Turbine eliminates the need for purchase order paperwork. 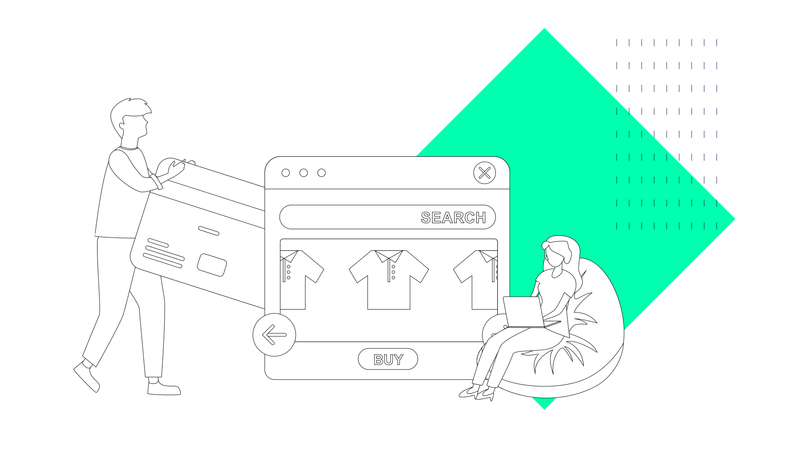 With everything under one roof, you can raise a purchase request and automatically have your boss approve or decline your order from the same portal. No printing, no paperwork, no waiting around for the form to make its rounds around the office. So, what do you think? Has our purchase order guide given you food for thought? Perhaps you might want to re-evaluate the way your business creates and organises its purchase orders, or step foot into the world of digital automation. If so, you’ve found the right place. Sign up for a free trial of Turbine today and say goodbye to tedious paperwork.